Comfort, thy name is Skullcandy. Here at RotoRob, we generally stick to software when it comes to reviews. However, during the quiet month of December we decided it’d be fun to branch out a little bit and check out some hardware (that’s what she said) in the form of Skullcandy’s new multiplatform PLYR 2 wireless headset. 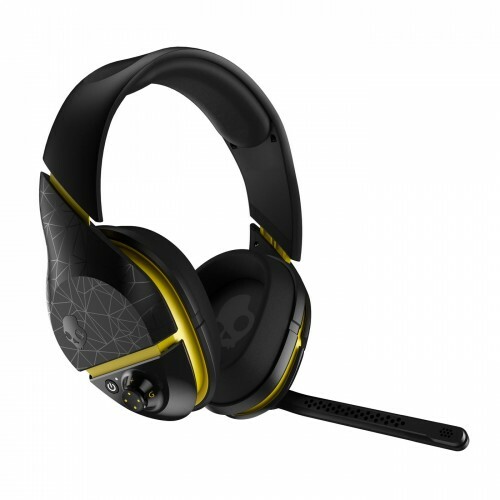 The headphones, which work with the Xbox 360, PlayStation 3 and PC, retail for $129.95 and are available to order via Skullcandy’s official website. Being able to use the headphones in conjunction with multiple systems comes at a cost in that it’s not as slick or visually undetectable as you might like. The transmitter needs to be plugged in to both your console of choice and the back of your TV, and it only offers a red/white connection. I, like most modern gamers, hook up my systems via HDMI, so to get these to work you’ll need to run a second cable from your console into your television. There isn’t much slack with the cord length coming from the central transmitter, either, which creates a messy look (a third cable is used for charging the headphones). However, what this layout may lack in style it mostly makes up for in simplicity. Switching between the Xbox 360 and PS3 took no more than a minute or two, and it’s easy to take the extra step to utilize them for in-game chat as well (though on the 360 you’ll need an extra wire; it is included). Between working in cubicles and late-night gaming I’ve spent a lot of hours with headphones on, and I would say without hesitation (or equivocation) that the PLYR 2 is the most comfortable headset I’ve ever used. As opposed to my Turtle Beach set, which retails at roughly $100 more, my ears didn’t become tender during long sessions, and the weight strikes a nice balance between feeling sturdy while not heavy enough to be annoying. When it’s time to chat you simply pivot the attached microphone down, which automatically makes the mic active. To mute it just put it back in the upright position. While the PLYR 2 might not produce the top aural experience available, the sound is crisp, clean and doesn’t feel like much of a step down from the surround sound I use when not wearing them. It’s also extremely reliable. Only once in all the time I used the headset did it power itself down — I turned it right back on and played for another hour-plus so I don’t believe it to have a battery-related issue — and at no point was I treated to the annoying popping and crackling I’ve been subjected to with other wireless headsets over the years. You can quibble about some minor issues, but ultimately Skullcandy’s PLYR 2 wireless headset offers both quality and versatility at a relatively low price point. If you’re in the market for some new gaming headphones these are well worth the money. Help !!! I need help with my skullcandy plyr2 I hear the voices but not the guns and everything else .ts for my ps3 .